What Are the Different Types of Air Conditioners and Which One Is Best? While spring is a wonderful time to rejoice the end of winter, it also provides us with a friendly reminder that summer is right around the corner. Of course, anyone who has experienced a humid Minnesota summer without the sanctuary of air conditioning knows how brutal it can be. After all, windows and floor fans can only offer so much relief. 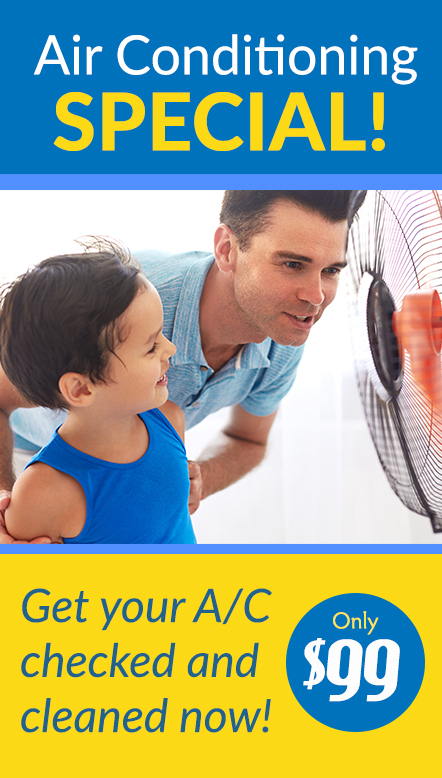 If you don’t currently have air conditioning, or are due for a much-needed upgrade, installing a new system before summer hits is always a smart decision. But a new air conditioner is an investment, so it’s important to consider what type of air conditioner best fits your needs before you buy. 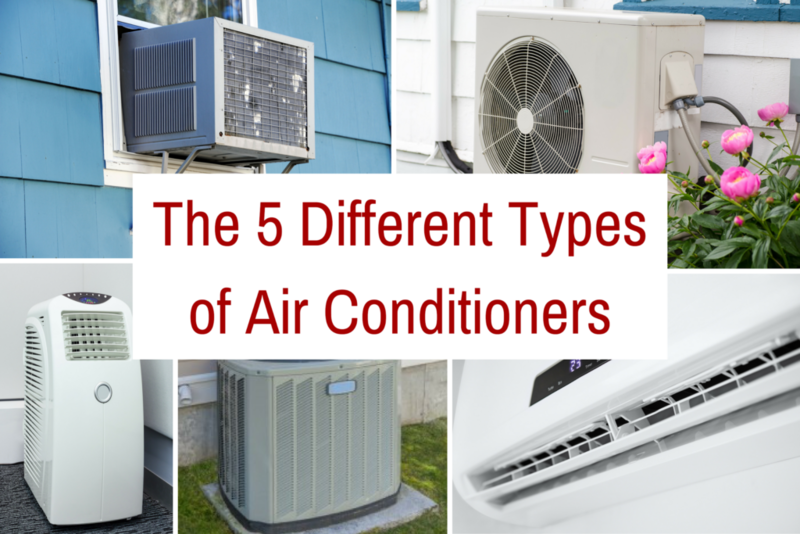 Below, we review the different types of air conditioners in order to help you decide which air conditioner is best for you and your home. 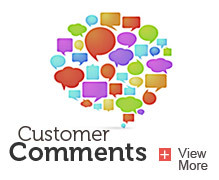 Window air conditioners are self-contained units that are typically placed in a window. They can also be installed by creating a hole in an exterior wall of a room, however we advise against adding at DIY hole to your home. Window air conditioners are most useful for apartments and single-level homes. They come in many different sizes and builds to fit a variety of window types. The bigger the unit, the more cool air generated. However, the cooling capabilities of window air conditioning units are limited due to their small size and static location. Window air conditioners are typically the most cost-effective air conditioning system to purchase, but their air output can be limited. To get around this limitation, many people use multiple window units in their home. If you place one on each level of your home, and use fans to circulate the air, you can cobble together a simulated central air system. Though, this wouldn’t be the most prudent strategy from an energy efficiency standpoint as this would consume a vast amount of energy. Window units are also relatively small and can be transferred to your new home if you move. Air source heat pumps are an energy efficient and low maintenance cooling solution for homes that have ductwork. The installation cost of air source heat pumps can be high, but the running and maintenance costs are low. Heat pumps use electricity to move warm and cold air around a home, rather than burning fuel to do so. During the summer, a heat pump systems concentrates the warm air within your home and dumps it outside. During the winter, a heat pump brings concentrated warm air from outside and delivers it into your home. Typically, one of the greatest benefits of a heat pump system is they’re more energy efficient than other air conditioning systems. However, heat pump systems are most effective in mild climates. Of course, Minnesota’s hot summers and frigid winters are anything but mild. But the good news is that a heat pump can be used in tandem with your core HVAC system to increase efficiency. When it comes to air conditioning systems, central air units are considered the most luxurious because they are able to cool each room in your home simultaneously and do so quietly. They are made up of two units: the condensing unit that is located outside the home and the evaporative unit that is located next to the furnace. The two units are connected to each other through refrigerant tubing. The condensing unit is responsible for generating the cool air that is propelled into the evaporative unit. The evaporative unit then pushes the cool air throughout your home using the furnace duct system. From our perspective, a central air conditioning system is the absolute best way to evenly distribute cool air throughout a home. 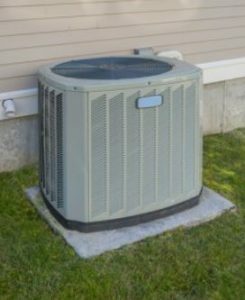 We often use Trane XLi central air conditioning systems, which provide homeowners with quiet performance and maximum comfort. No ductwork in your home? No problem! 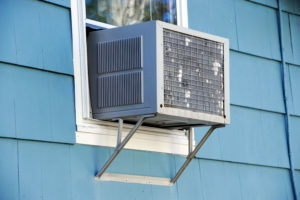 Ductless air conditioners, also known as a split system or mini-split systems, are a common cooling solution for apartment dwellers or homeowners with no ductwork in their homes, who are looking for a more permanent cooling solution than window air conditioners. Ductless air conditioners are comprised of two small air conditioning units that can be installed on the interior walls of your home. Refrigerant tubing connects the two systems by passing through the walls that separate them. One terminal is positioned on the exterior of the residence. This terminal serves as the air generator by condensing cold air and sending it into the home through the refrigerant tubing. On the inside of the residence, mounted high on a wall, is the other terminal, which serves as the distribution center for the cool air. This terminal features the fan that blows the air throughout the residence. Generally speaking, split or ductless systems are great options for smaller, older homes that do not have an existing system of ducts installed, or if the home has heating ducts that can’t be accessed by an air conditioning unit. They are traditionally used to cool one room, but new systems are being produced that can cool multiple rooms. 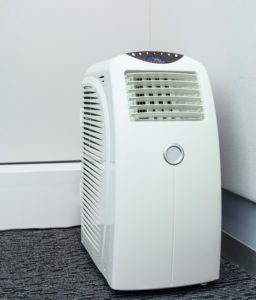 A portable air conditioner is a single self-contained unit that can be wheeled into a room and positioned on the floor. Hot air is discharged by a hose vent through an exterior wall or window. Portable air conditioners tend to be noisy, but they are a good temporary cooling solution. To help you decide between the many types of air conditioners you can choose from, here is a quick list of the pros and cons for each option. 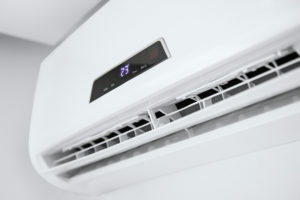 How Can You Choose the Right Type of Air Conditioning System? 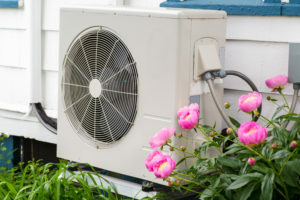 It’s important to consider the infrastructure of your home and your budget before committing to buying a new air conditioner. However, with so many types of air conditioners to choose from, we’re sure that there’s one that’s right for you and your home. For a more in depth tutorial on how to evaluate which type of air conditioner is best for your home, check out our guide on how to choose a central air conditioning system. Not convinced that a new air conditioner is the right move? 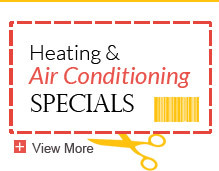 Sometimes repairing your air conditioner can provide the fix you need. If you’re trying to decide which step to take, check out our post on repairing or replacing your air conditioning system.